did you just say "awesome" ? 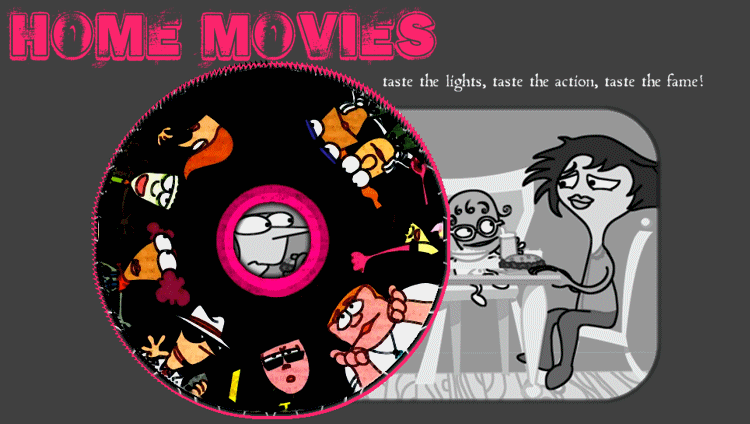 Welcome to taste the lights, taste the action, taste the fame, a fansite/fanlisting for the incredible animated series Home Movies starring Brendon Small, H.Jon Benjamin, and Melissa Bardin, approved by thefanlistings. When I first watched Home Movies I couldn't believe there was a show like this on tv! Finally a show that was intelligent, witty, and hilarious! I was hooked! Although the show ended after four seasons, they were four great seasons, full of wonderful episodes. I miss the show, but watching reruns and dvds is still the best time. This lovely fansite was established on 27 May 2009. The fanlisting is owned and designed by Kristina, and is part of The Fantom collective, maintained using Enthusiast, and approved on 23 August 2015 by The Fanlistings network. This listing was last updated on 14th April 2019 with 3 total members, and 0 pending. Welcome to the newest member : Deanna!